Apple hasn't updated the Mac Pro for a considerable amount of time, with the only real change to the product line being an update to the 2013 model in 2017 that added a six-core Xeon configuration and dual AMD G500 GPUs. A change is well overdue. 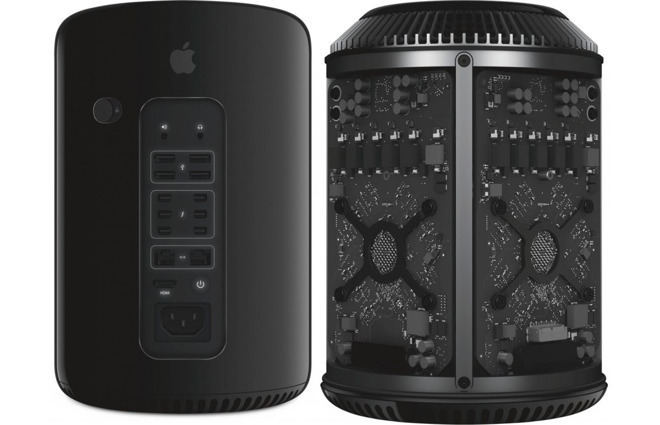 At the time of the update, Apple revealed it was "completely rethinking the Mac Pro," with mentions of a new modular design that could be more open to upgrades than the existing cylindrical model. A new "pro display" was also promised, to accompany what Apple marketing chief Phil Schiller advised would be Apple's "highest-end, high-throughput desktop system, designed for our demanding pro customers." 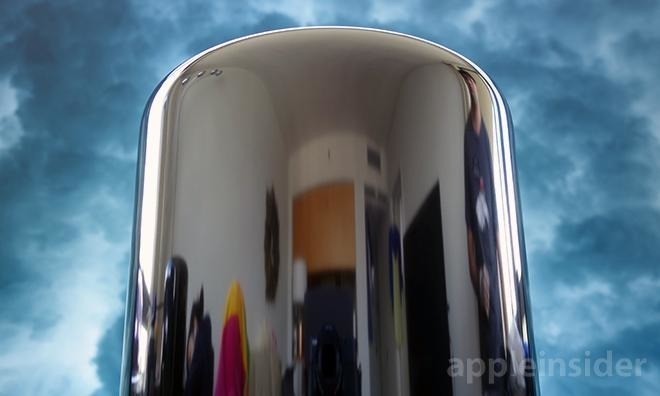 We'd like Apple to ship the Mac Pro early in 2019, but we're concerned that it will be a very-late 2019 deployment, similar to how the cylindrical Mac Pro rolled out. The long development time may also have helped the case for a high-performance system, such as the introduction of a 28-core, 56-thread Intel Xeon processor that is a great candidate for inclusion in the Mac Pro. A related item that could also see some changes is the iMac range, as while Apple released new models in 2017, there weren't any notable additions made in 2018. The October event, which was tipped to include some Mac-related changes, focused on a new Mac mini as well as a new MacBook Air design, leaving the iMac alone. An updated iMac lineup, or a refreshed iMac Pro, could easily be introduced alongside the Mac Pro, with the former offered as a more value-conscious option for consumers alongside the high-priced professional models. The first couple of months are also a prime time for Apple to issue new versions of its iPad lineup. Considering Apple revealed an updated 9.7-inch model in March, it is plausible an annual refresh could take place at around the same time. 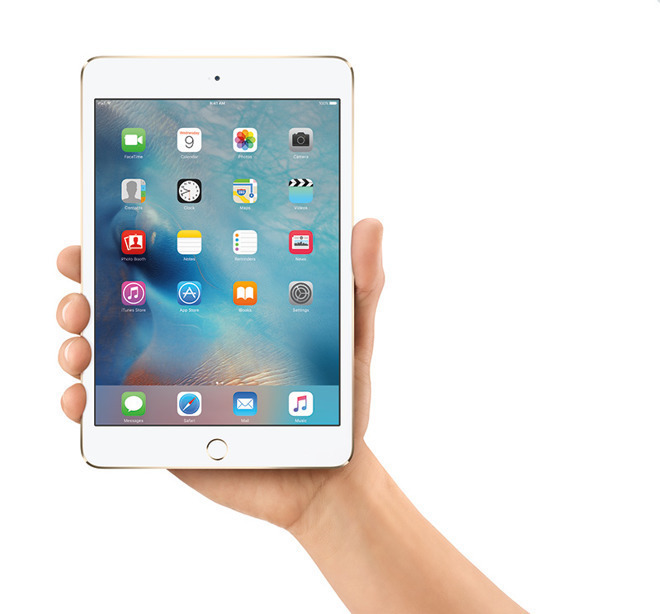 One Chinese report suggests a fifth-generation iPad mini could be on the way. As for what such an iPad event could introduce, the obvious thing would be for Apple to make changes similar to the ones seen in the iPad Pro refresh late last year. Thinner bezels, compatibility with the second-generation Apple Pencil, and Face ID are all items that could feasibly be incorporated into the company's standard consumer tablet. It may not be the only tablet that could be on the way. Rumblings from Chinese reports in December suggested a fifth-generation model of the iPad mini were in development, potentially making it the newest update to the depreciated pint-sized tablet range in over three years. While the former is likely simply through anticipating an annual update, the latter is less likely, as there have been few other reports about the device, suggesting the ones that did surface may be speculating too much. If Apple is going to produce a new iPad mini, details are likely to leak about it over the next few months leading up to its potential release later this quarter. While a company as large as Apple expects to end up heading to court for various reasons, one of its biggest battles of recent years will be taking place in April. Apple and Qualcomm have argued since 2017 over royalties and patent licensing, with the former claiming the latter withheld $1 billion in patent license rebates and abused its market position. Qualcomm instead claims Apple is trying to pay less than the fair market value for standard-essential payments, breach of contract, and alleges the theft of trade secrets provided to chip rival Intel, among other issues. The legal fight has already seen some decisions go Qualcomm's way, including a sales ban in China for some iPhone models, while a German court ruled Apple is violating a Qualcomm patent, potentially paving the way for a Germany-wide ban. With the addition of a group of Apple assemblers also seeking $9 billion from Qualcomm in damages in a connected lawsuit, the battle between the iPhone producer and the chip company is becoming one that neither side wants to lose. Qualcomm has seemingly suggested that it and Apple are trying to reach a settlement before the potentially expensive courtroom appearance, while Apple has repeatedly insisted no such talks have taken place, and is ultimately preparing itself for a long and protracted battle. When it happens, AppleInsider will be covering the court activities, as well as all of the inevitable fallout afterward. Another thing that won't be going away anytime soon is the constant battle between technology companies and governments regarding privacy and security. While security agencies like the FBI want access to data, such as by weakening encryption, Apple and other firms have fought to prevent any backdoors or other similar elements from being introduced. In the wake of major consumer data breaches and Facebook's Cambridge Analytica scandal, consumer data privacy has become more of an issue than ever before, and lawmakers have taken notice. In November, a subcommittee of the Senate Commerce, Science, and Transportation Committee revealed it was working on a potential bill that could allow the Federal trade Commission the ability to enforce and produce regulations that telecommunications firms have to abide by, relating to the personal data of consumers. While the wording of the bill has not been officially confirmed, it is anticipated that a bipartisan draft could be finished "early in the session" this year. We're not sure exactly how the current shutdown will affect things going forward, but we'd be surprised if there wasn't big movement by June. The first major technology tradeshow of the year is due to take place in a few days time. The Consumer Electronics Show is known as a venue for product launches from almost everyone in the technology industry, keen to show their wares and latest innovations that may or may not reach consumer hands later in the year. CES is packed with companies keen to show their new products. Sure, it's a major event that's worth noticing, but in a world where companies hold their own flashy product launches, some may think it isn't that relevant anymore. While Apple does not typically make an appearance at CES, the vast majority of hardware companies that work within the Apple ecosystem are likely to be in attendance, complete with a plethora of devices, accessories, and other items. As usual, AppleInsider will be at the show, and will report on the announcements made on the show relating to the iPhone, iPad, Mac, home automation with HomeKit, and Apple's other products and services. Hopefully this year there won't be a blackout on the show floor. Hopefully CES will see wireless CarPlay get a lot more loving. and an iMac update can’t come soon enough. I’m hoping for a new form factor iMac myself. My 2013 iMac 27 is still ok, but in 2020, with a second rev of a new form factor, it would be good timing. Looking for 32 to 35 inch display and 6 TB storage. Indifferent on the CPU or GPU. If not, will have to explore options with a Mac mini. Will by curious to see how Apple segments the iMac and iMac Pro with the existence of 8 core i7/i9 CPUs versus the Xeon W in the current iMac Pro. They’ll have to get rid of the 8 core model in the iMac Pro, or even theoretically, get rid of the iMac Pro brand once the Mac Pro comes out. Don't know about a new form factor for the iMac, doesn't seem to be much they can do with it. New sizes might be a possibility, but it really depends on what they see the market for a 32" iMac being. I suspect they will keep the iMac Pro as a separate marque to the iMac, at least in the short term. The success of the iMac Pro might make them reluctant to remove it from the lineup until they've seen how the newer Mac Pro goes, and even then they might stick with it. What I don’t understand is why Apple can’t keep the latest processor each year. It isn’t as though it drops the price on out of date imacs. Why not update whenever Intel releases a new CPU? The extra R&D would be minimal, and people wouldn’t feel like they are being ripped off if the only choice of iMac has previous gen hardware. It just annoys people. Maybe because that new CPU doesn't work in the Mac you think it will? Just because there's a new CPU out, doesn't mean it works. Also, sometimes there's very little to gain, especially for a normal consumer which is the bulk of Apple's sales with the Mac. People also feel like they're ripped off when they buy a new Mac and its updated shortly afterwards...which would happen more often than not if Apple were to constantly update their Macs. "highest-end, high-throughput desktop system, designed for our demanding pro customers." In other words... Schiller talked to Pixar. Schiller: Here is your $18,000 iMac. Average Appleinsider fanboi: It really isn't expensive at all, it's what pro's want. Are there any rumors about updated AirPods? Forgot to add that I’m looking forward to what Apple has to offer in the rumored around the ear (tin cans) headphones. My headphones are my 2nd or 3rd most used device after my iPhone and iPad. I’m looking for in-ear headphones with noise pass through, in-ear headphones with noise isolation, and around the ear headphones. 3 pairs. Mobile ones for work where I can hear my surroundings, mobile ones where I can isolate outside sound (airplane, restaurants, walking around), and a nice pair with big sound. The tin cans are rumored, a 2nd gen AirPods are rumored, but no in-ear pairs just yet. This is a total fallacy based on a sample size of one: yourself. Take it from someone who used to work in both Apple and non-Apple retail: the number of people who have any understanding whatsoever of what is inside their machine or what “gen” it is (or its name ... or what it does) is nearly exactly the same as the number of people who can identify, name, and replace all the parts in their car. Power nerds who actually know specs are a *very* slim portion (well under five percent, closer to two percent IME) of even the PC world, and even less so among Apple buyers. What they actually want is a machine that they perceive (rightly or wrongly) will perform adequately well for their needs, full stop. Apple stuff does that, is well-supported for years, and doesn’t require you to buy a new machine every time Intel finally squeezes out an actual new chip. Consumers like that — the vast majority of PC users would happily go back to Windows 95 or XP if they could, limitations and security nightmares be damned. Pop out of your bubble for a while and go hang out at a mainstream computer retailer or Apple Store for a long weekend. Eavesdrop on the questions people actually as while shopping for new machines. I’ve done that, I’ve worked those stores, and I still eavesdrop when I’m shopping in such places to help keep my mind open to what is important to the mainstream of Apple, Windows, and Android buyers. Literally yesterday, I watched a woman (who told the clerk she almost exclusively works in Office and Google apps, and puts everything either on an external hard drive or Google Drive) buy an outdated and underpowered dual i5-based refurb Asus machine with very little RAM or storage (4GB, 64G SSD) primarily because a) it will perform just fine for the next few years given her needs and b) she liked the colour of the case (a nice cobalt blue). You and I and everyone else reading this is likely cringing, but even though she literally could have saved $150 by buying a basic IPad and a BT keyboard, I can’t argue that — based on what she said she does — she picked all that poorly. I see people buy Android tablets all the time even though they ship with Lollipop (that’s four major versions back), will never receive any major updates, and will — guaranteed — be obsolete and in a drawer in two years. But it’s $200 versus a $330 basic iPad that will still be running the latest iOS and apps for the next four to five years. People, by and large, do not understand value versus cost until they either become quite wise or quite old, and they are terrified of change, IME. Those of us who happen to have a talent or the time for acquiring expertise in computers generally reap the reward of getting the best deal and best machine (for their budget and chosen platform) nearly all the time, but what posters here seem to not understand is that we are a very tiny cult, like expert birdwatchers or skilled craftsmen — we’re nothing like the vast majority of people who buy technology. You and I and everyone else reading this is likely cringing, but even though she literally could have saved $150 by buying a basic IPad and a BT keyboard, I can’t argue that — based on what she said she does — she picked all that poorly. If she is using Office/Google apps it would mean spreadsheets and documents all day long - something that is going to be terrible to do without a mouse. Learning all the short cut keys for formatting, colors and the rest is not worth the effort, and no, using your finger or grabbing the Pencil as a touch interface isn't going to substitute. She bought something that isn't going to drive her up the wall. Regarding the predictions on Apple hardware: I would be very surprised if there was a new iMac Pro this year, though of course it is a possibility (dependent on Intel actually shipping something). The deal with the iMac Pro is that it will need a chip and GPU that justifies its high price, and it is an open question if Intel will ship anything that is a) less powerful than what they plan to put in the Mac Pro and b) much more powerful than the chip that would go into refreshed iMacs (which I do expect this year). I think both the Mac Pro and iMac Pro might even slip to early 2020, and I wouldn’t be surprised if both are even more designed to cater mostly to their primary buyers — enterprise. I’d love to see a new iPad mini — they are still popular with certain audiences, particularly women — and a lightly-updated MacBook (non-Pro) in the spring, along with updated iPads in October. Heck, I’d like it if Apple brought out a new SE for under $500. Despite rumours, I don’t think we’re getting new AirPods until late this year — and maybe the AirPower and wireless case will finally come out with them LOL. Also, thanks for pointing out that the long development cycle for the iMac Pro and Mac Pro will actually benefit buyers by increasing the chance that Intel will finally come up with a new Xeon-class chip (along with new-standard GPUs) that will truly set a new bar for performance. It’s a point too many impatient people forget. If Gruber’s birdies are correct, Apple felt that <5% improvements in processor performance year to year wasn’t meaningful enough for them to go through the effort. The effort is huge for what Apple does. The 2018 MBP and Mac mini may look identical on the outside to thsir predecessors, but inside they are entirely different. Completely different machines. The iMac not being updated in 2018 is a mystery though. I was curious on how they were going to segment between the 6/8 core i7/i9 processor iMacs versus Xeon W iMac Pros, and Vega whatever versus for the Vega 56/64. Turns out they punted to 2019. I have yet to see a consensus on the bolded. IF you can't find your comment, feel free to re-read the commenting guidelines, and keep them in mind as you repost your opinion. Hopefully the new Pro Computer group they formed for the iMac Pro comes out with something good for the MacPro. Its been a long time. I wouldn't expect the MacPro to be updated yearly but every 24-36 months would be good. I'm sure that Intel would have a suitable processor update in that time. Have a Redesign every 6 years and Process updates every two to 3 years in between. WIreless CarPlay is in the hands of the car manufacturers. IOW: we're SOL. If they don’t move to a larger display than a 27”, I don’t think I’d get an iMac, and would settle for a bunch of wires with a Mac mini, ~34” wide screen, and external storage. Not that different from my current iMac 27 save that I can get a 34” 21:9 display, but would prefer a minimum wire, minimum footprint setup. If they are going to keep the iMac Pro brand name, I think they will want to defeature the iMac line a little, ie, not make as powerful relative to the top end iMac and base iMac Pro models seen now. The current iMac 27 with 4 core 7700K and Radeon Pro 580 is really not that far removed from the current iMac Pro base model. A Coffee Lake model will be equal if they ship with an 8 core version and something more performant than the Pro 580. Who’s going to buy an iMac Pro then? As far as I know, there is no where for the iMac Pro to go other than to more cores, and whatever the 7 nm Vega will be called. More core means an increasingly shrinking market for an AIO to sell into. The Mac Pro will hopefully be a tower that can be rack mountable with rails so that it maximizes that market it can sell into. At CES 2019, JVCKENWOOD booth will mainly showcase new products from the JVC and KENWOOD brands. Our car electronics exhibits will highlight car AV products and high-resolution dashcams, which support Wireless CarPlayTM and Android AutoTM. I'm not too keen on new form factors from Apple anymore. It's at best 50-50 as to whether a new form factor will be an improvement. I'd like them to just achieve minimum competence as a vendor of personal computers and update their Mac lineup annually. It hurts the brand to have products that go for so long without updates while the rest of the industry manages to upgrade more-or-less annually.